Now From DraftSight 2017 SP0 We can Export Data in Tables such as ‘Normal Table, Revision Table or Bill Of Materials (BOM) Table’ into Excel Sheet formats like .csv, .xls or .xlsx, File format. # Where is this Feature in DraftSight ? You can Run _EXPORTTABLE command from Command Window . # How to use this Feature ? 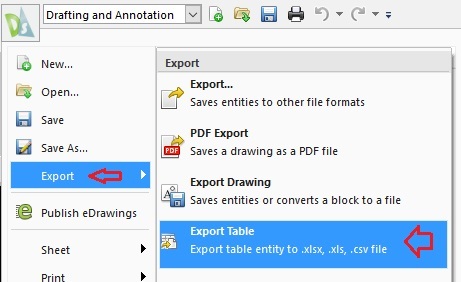 Note: As of DraftSight 2017 release Export Table feature is not supported for exporting Data from Hole Table. 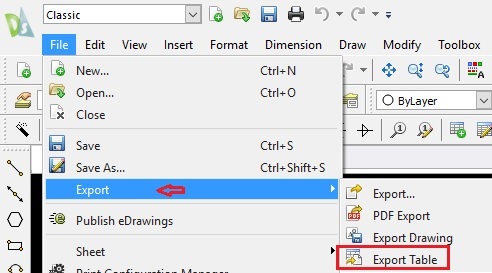 Choose the location where you want to Export Table Data in Excel. Now Check Exported excel file is as per Table you Selected.